ASTRO DESIGN CENTRE WELCOMES BOB GOULD AS NEW GENERAL MANAGER. 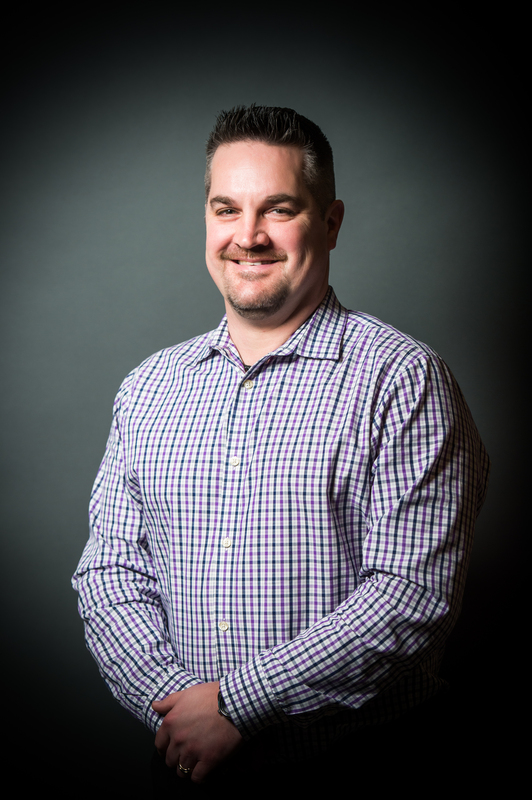 Bob Gould brings to Astro 25 Years of Management experience in Kitchen & Bath. Having celebrated 20 years of business last year, Astro Design Centre wanted to give back to the community. When the opportunity to donate a new kitchen to the Royal Ottawa Mental Health Centre came up, Astro couldn’t pass it up. We looked forward to an opportunity to renovate the hospital’s existing tired and dated Occupational Therapy kitchen, where various programs at the hospital come to develop life skills, social skills and vocational skills for both in and out patients, who are referred to as clients. It was our hope that this bright and fun kitchen can become an uplifting and inspiring place for patients to gather, cook, interact and heal. 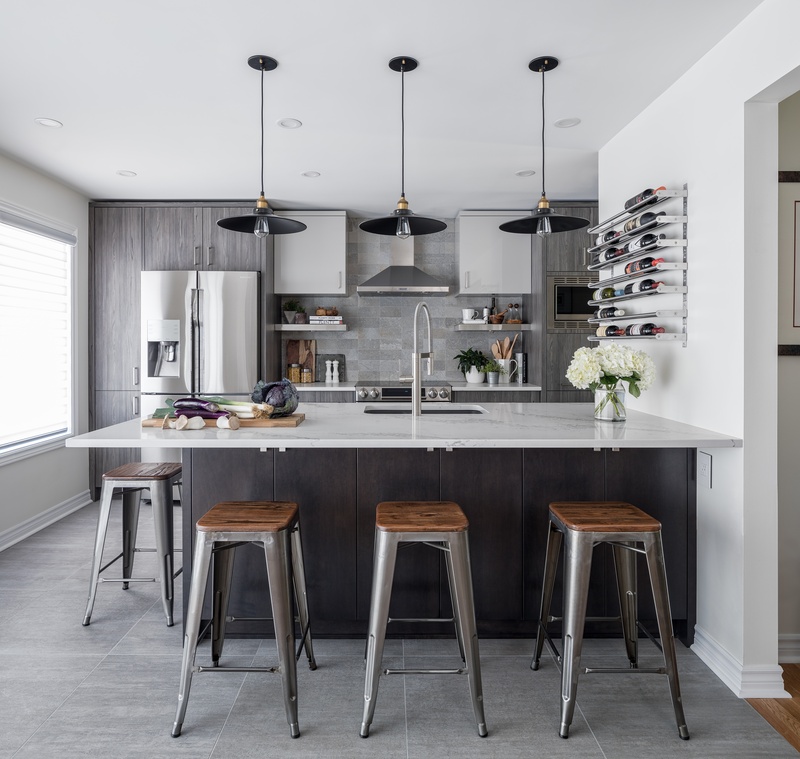 These Ottawa homeowners wanted to make their kitchen a hub for hanging out as a family and for entertaining, but their kitchen was closed off from the rest of the house and didn’t feel inviting. “And like most family households, they needed a place for everything,” says designer Nathan Kyle of Astro Design Center. This meant being strategic about every inch of storage. 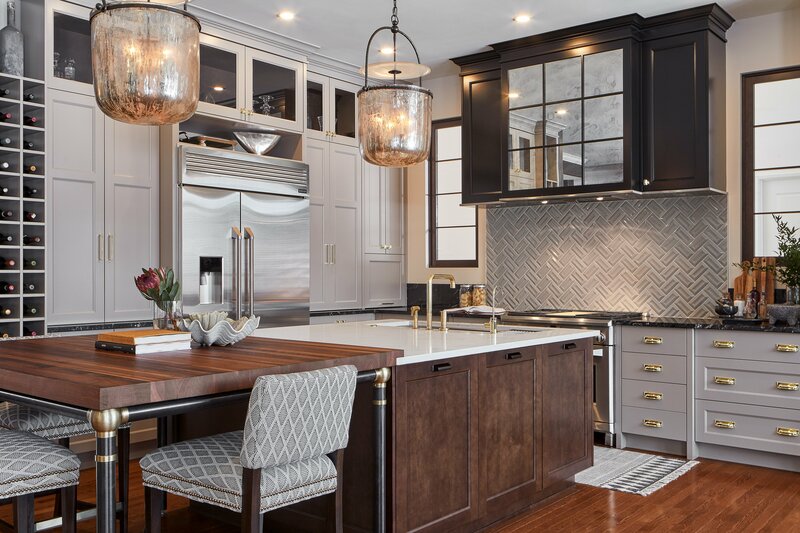 In the course of a complete remodel, he opened the kitchen to the family room and placed a long, hardworking island in the center. Now it’s a welcoming room where everyone loves to spend time. 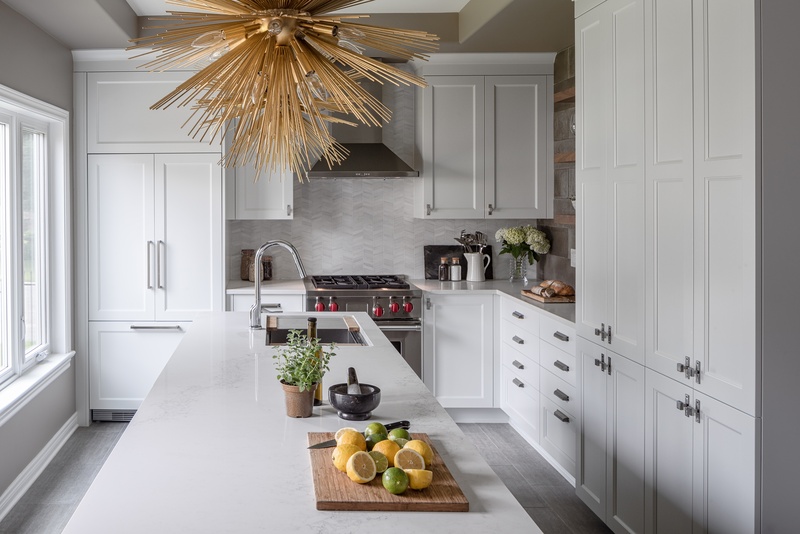 A family of five had evolved from two parents with small children, to five adults plus significant others, who often visited together for meals and conversation, and need to an update to their most used space. 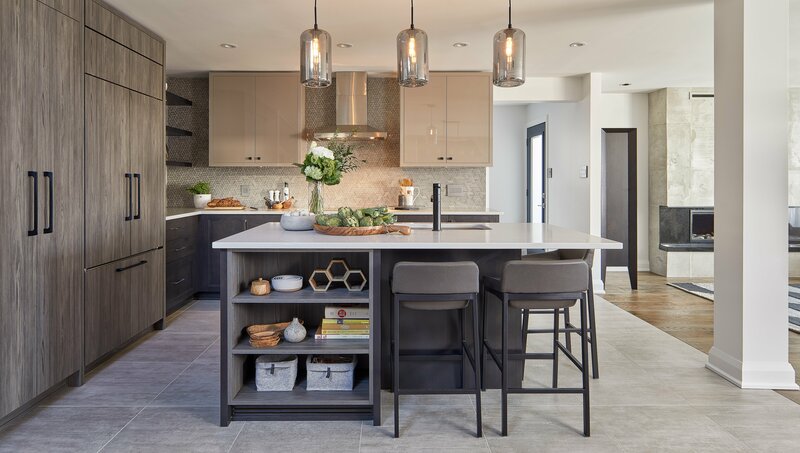 When discussing a vision with the collaborating designers, the goals were to open the Kitchen to the Eating Area as well as Family Room beyond, add seating for informal entertaining and update the aesthetic to something more modern and elegant. A client with an extensive background in the visual arts came in looking for guidance in streamlining her vision. 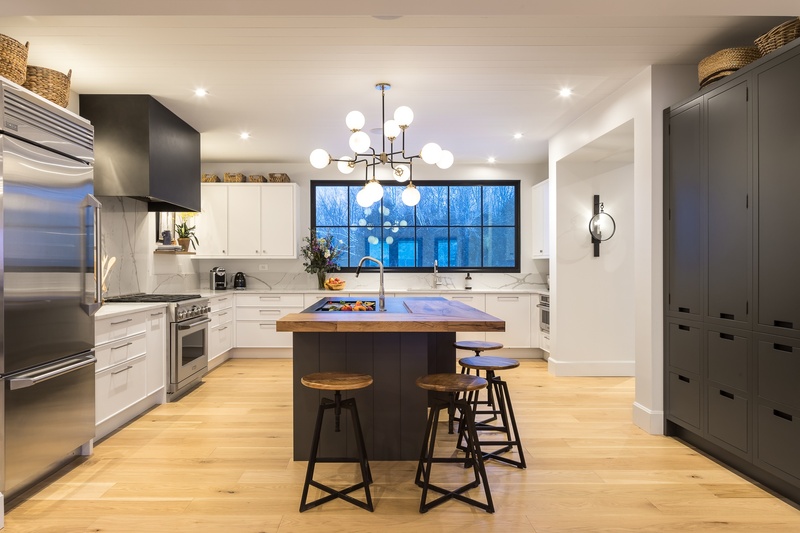 From early meetings it became evident that this couple is looking for a warm and inviting contemporary space with an eclectic industrial vibe where they can enjoy their retirement and host company. 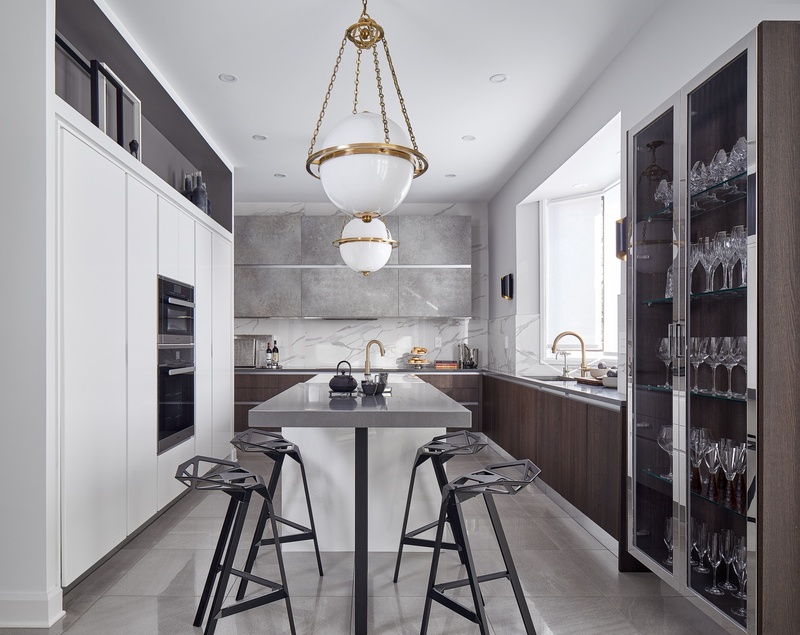 Through a process of multiple meetings, the designer helped the couple to define their vision for their space, to finalize the layout and to narrow down the aesthetic which would elicit a sense of comfort and excitement at the same time. 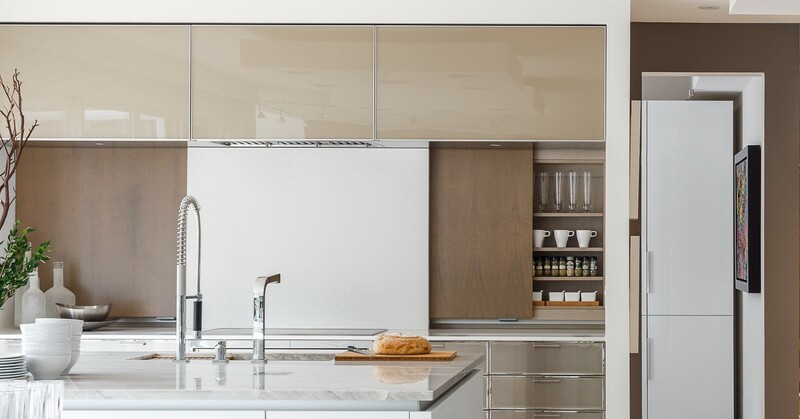 How Much Cabinet Space Do You Really Need? 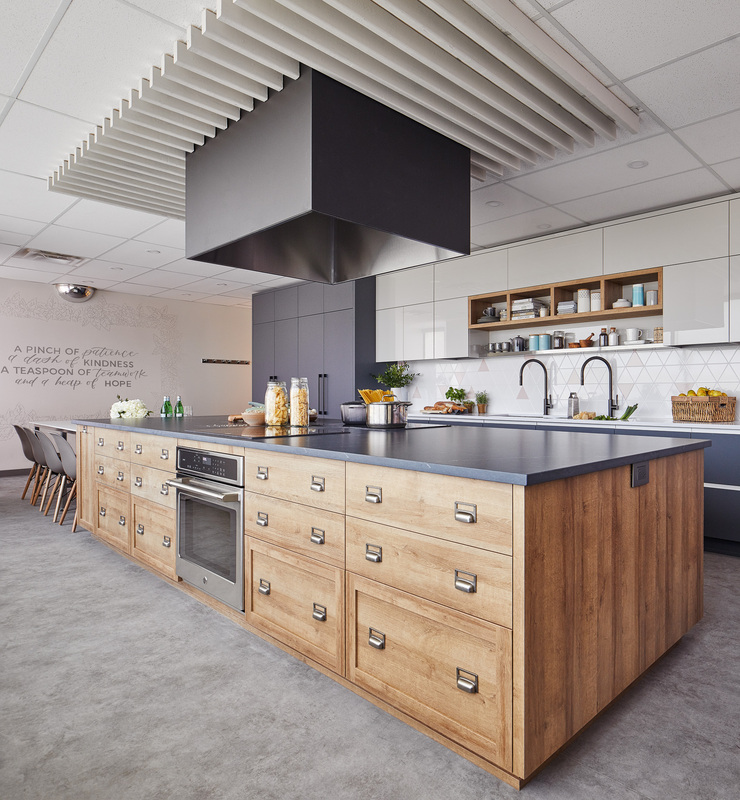 Remodeling your kitchen opens the door to so many exciting prospects! Now is your chance to put your inner neat-freak to work, organizing your kitchen perfectly so that everything has a place and you can maximize your time cooking delicious meals without running back and forth from one place to the next. A hot bath = a happy you! There are so many benefits to soaking in a tub, that we should always find time to relax, sit back with a glass of wine and enjoy a tub soak. 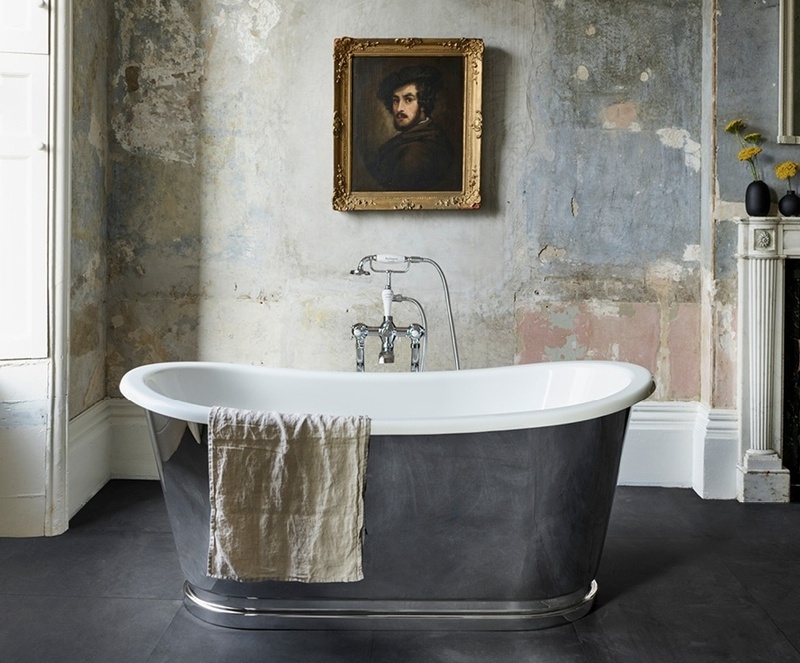 But what type of tub is right for you and your space? We've got you covered with our list of popular types of tubs, that we think will help you find the one that is best suited for you! See our list of various types, shapes, styles, features, and materials of bathtubs, and for more tips, visit us in-store where you can test the one's you love.